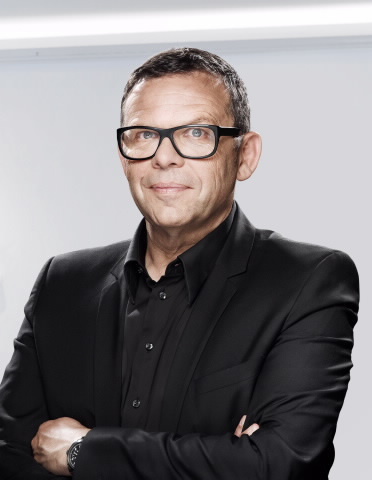 In an interview on Automotive News, Peter Schreyer speaks about how he gave Kia a fresh, family wide look after being hired from Volkswagen Group in 2006. Now he’s trying to do the same for Hyundai, for which he took design responsibility in 2012. Schreyer wants to give Hyundai the equivalent of Kia’s “tiger nose” grille so all of the brand’s vehicles have a familiar face. The hardest part may be keeping the Genesis and Equus luxury cars in the family while signaling their premium nature. Schreyer discussed his approach to design at the Los Angeles Auto Show with AutoNews Reporter Gabe Nelson. Q: When you sketch, what inspires you? A: Of course, I like to look at cars. When I drive on the autobahn in Germany or on the freeway here, I look at cars I see that look different in a different environment. But I think for us designers, it’s important to not only look at cars, but to be interested in architecture, in art, even in music, in sports equipment, industrial design — all sorts of things — because in fashion they are influencing us and we are influencing them. We have made show cars with neoprene seat coverings so you can spray it out when it’s dirty, or whatever. Things like that. Even for switches, the click mechanism may be like when you have gear shifting on a mountain bike. You’re known for designing Kia’s “tiger nose” grille. Will all Hyundai products get the hexagonal grille from the redesigned Genesis? Genesis is almost like a brand on its own. So the challenge for us will be to make a kind of hierarchy between the products, so you can recognize which segment that car is, somehow. So the Genesis is on the higher end, and the Equus is above — almost like a luxury brand within the Hyundai brand. I think we cannot do it like some others, just put the identical grille on every car. There needs to be a little bit of room to play, to differentiate. Which brands do it well? If you take the traditional German companies like Mercedes, BMW, Audi, Porsche — they developed their own style and stuck with their thing ever since. Audi developed it later, but BMW and Mercedes have a very, very, very long, 100-year-old tradition. They keep evolving it and improving it, so it’s changing over the years. This is where we need to get, in a shorter time. Some critics argue the look of the redesigned Hyundai Sonata is hurting sales. The last generation was daring. This one is more conservative. Was it a mistake? I think it is a very substantial — serious is not the right word — a very substantial design. The old Sonata was a bit extreme in a way, one that I quite liked as well. I think it depends a bit on the customer that we want to approach. What do you mean by substantial? Not risky. It’s very well balanced and worked out. I saw a Sonata pulling into the hotel where we are, in Santa Monica, last night. When you see it on the street, I think it’s a very clean-looking, good car. And I think it’s also good that compared to the Optima, it is a different animal — approaching a different kind of customer, so we don’t fish in the same waters. Kia’s most iconic design here is the Soul. How has that vehicle avoided the fate of the Chrysler PT Cruiser and the Volkswagen New Beetle, which were incredibly popular at first and then faded? I don’t know. Maybe we’re just lucky. We were surprised. The natural curve of every car is that the sales go up and then fade down. It’s very natural with every car. The Soul was the only car I’ve experienced where it went up and then it still just grew. I think in a way it shows that if we’re a little bit daring and don’t always do something that’s in the middle of the road, sometimes it pays out. Sometimes it works.